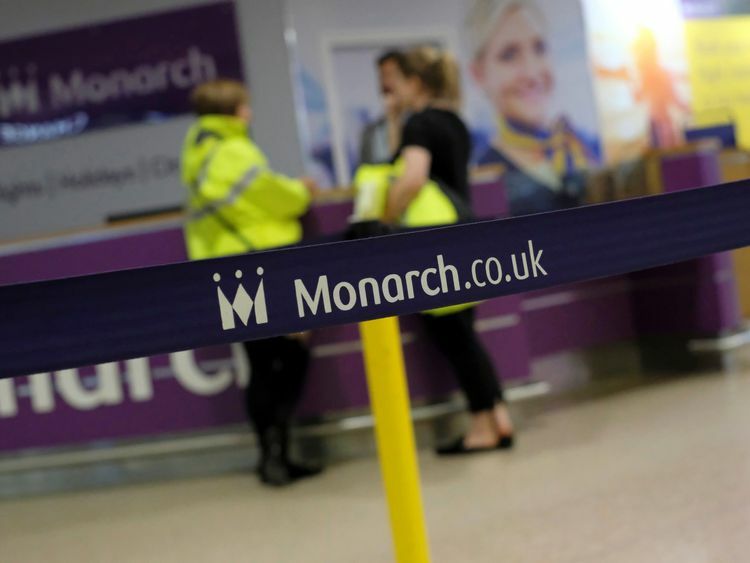 One of London's top barristers has joined the looming legal battle over the ?60m runway slots portfolio of Monarch, the airline that collapsed last month. Sky News has learnt that Bankim Thanki QC, who has acted for dozens of British blue-chip companies including Barclays, Heathrow Airport and Rolls-Royce, will represent Monarch's administrators in a hearing scheduled to start on Monday. Mr Thanki will argue that KPMG has the legal right to sell Monarch's take-off and landing slots at airports including Gatwick, Luton and Manchester. The case follows doubts raised by‎ Airport Coordination Limited, an independent not-for-profit company, about whether the administrator relinquished effectively ownership of the slots when Monarch fell into administration.Next week's hearing is potentially significant because it could help to determine the extent of any compensation to the taxpayer following the repatriation programme which airlifted 110,000 Monarch customers back to the UK.Sky News revealed last weekend that Greybull Capital, Monarch's former owner, had pledged to use part of any profit it made after the administration to compensate taxpayers saddled with an estimated €60m bill.Monarch's slots are worth tens of millions of pounds at current market prices and, if sold by KPMG, would see the proceeds returned to the pot used to pay out to Monarch's creditors - including Greybull and the PPF. In a letter to the Transport Select Committee, Marc Meyohas, a partner at Greybull, acknowledged a "moral obligation [if we make a profit]... to defray the costs incurred by the Department for Transport (DfT) in repatriating Monarch customers".Greybull's letter, dated 24 October, said that the profit-sharing promise "was first ‎discussed in principle with the Secretary of State [Chris Grayling] and his Department several weeks ago". "Profit sharing with stakeholders is a long-standing practice that runs through every investment we are involved with, such as our recent announcements to share profit with the employees of British Steel [another Greybull-backed company]," Mr Meyohas said.It remains unclear whether the investment firm will make ‎a profit from Monarch, with Mr Meyohas's letter adding that Greybull agreed with Mr Grayling that "it is premature to prejudge the outcome of the administration".Greybull had been trying to find a buyer for Monarch's short-haul network, which had been crippled by a price war and slump in trading, in the days before it failed, amid efforts to persuade the CAA to renew its Air Travel Operator's Licence.KPMG declined to comment on Friday.